Veteran and Locally Owned Small Business serving the Denver Metro area giving you peace of mind that your home inspection is being conducted just as if we were inspecting it for our own family. 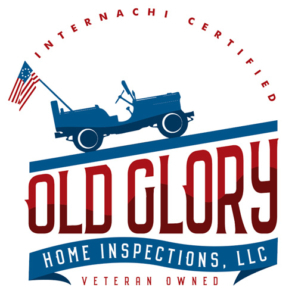 Why should you trust Old Glory with Your Home Inspection? Owner and operator, Michael Orcutt, runs his business with a pledge to uphold the same core values that he has held dear throughout his career. As a United States Air Force Veteran, father of two, and small business owner, the core values of Integrity, Service, and Excellence, are held as guiding principles of operation. By giving your business to Old Glory Home Inspections, you are receiving a personal guarantee that your home is being treated with the care, professionalism, and the attention to detail it deserves. By supporting a local small business, you will have peace of mind that your home inspection is being conducted just as if we were inspecting it for our own family. Michael is an MBA, Internachi Certified Professional Inspector, insured, and has an ample number of additional certifications you can view around our website. 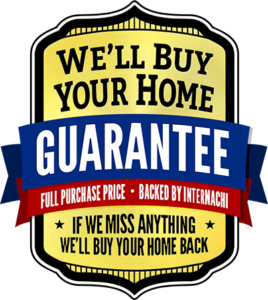 If we miss anything, we’ll buy your home back. To schedule an inspection fill out our online scheduler below. Call 970-397-4628 with questions or to schedule by phone. I love hearing from you anytime! Call or email me if you have any questions or use the online scheduler to set up a home inspection.